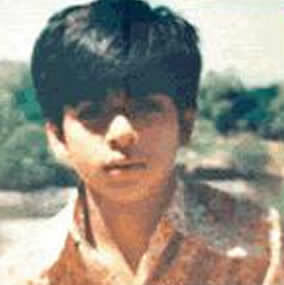 Shahrukh Khan was born on 2nd Nov 1965 New Delhi to Meer Taj Mohammed Khan and Lateef Fatima. He went to St. Columba’s School, Hansraj College and National School of Drama. 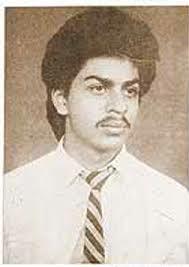 After completion of his education he made his acting debut with television series named Fauji which was broadcasted on DD National. 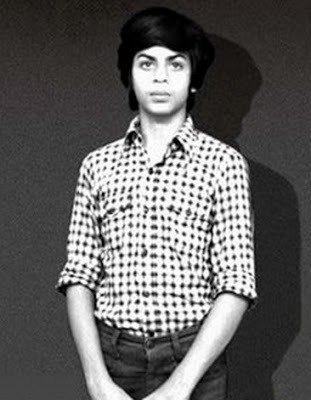 His Bollywood film debut was with Deewana in 1992 opposite Rishi Kapoor, Amrish Puri and Divya Bharti. His initial commercial hits were Darr, Baazigar, Anjaam, Dilwale Dulhaniya Le Jayenge, Dil To Pagal Hai and Kuch Kuch Hota Hai. Shahrukh Khan ventured into film production with his own company named Red Chillies Entertainment. 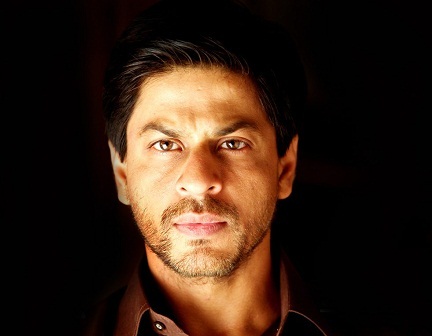 He is the co-owner of cricket team Kolkata Knight Riders in Indian Premier League. 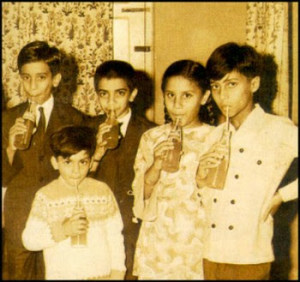 He was honored him with Padma Shri Award by Indian Govt in 2005, he was honored with the highest civilian award Légion d’honneur, of France by the France Govt in 2014. 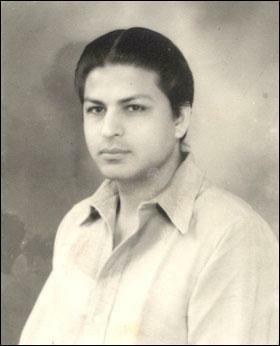 His father Meer Taj Mohammed Khan was a freedom fighter, his mother Lateef Fatima was daughter of a senior engineer. 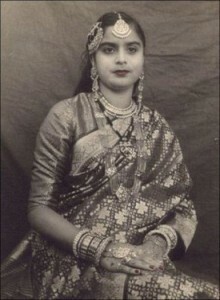 Shahrukh’s father met Lateef Fatima when she had an accident and he gave her his blood in the emergency. 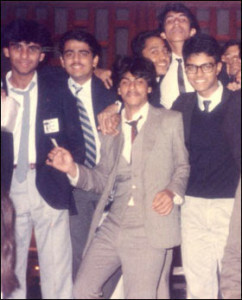 Meer Taj Mohammed died of cancer when Shahrukh was in college. His mother Lateef Fatima died in 1990 due to illness. She has an elder sister named Shehnaz Khan, she also lives with Shahrukh khan’s family in their mansion, in Mumbai. 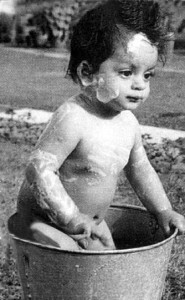 Shahrukh Khan is married to Gauri Chhibber born on 8th Oct 1970 to Ramesh Chandra Chhibber and Savita Chhibber. She is a Hindu by religion. 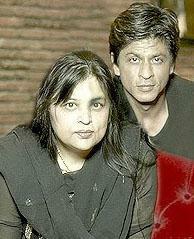 She fell in love with Shahrukh Khan and married him on 25th Oct 1991 as per Punjabi Hindu traditions. 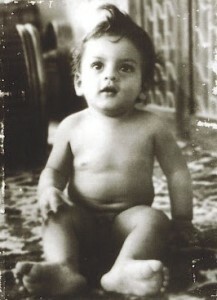 Shahrukh believes in Islam and respects his wife’s religion, at home his children follow both Islam and Hindu. Now Gauri Khan is a film producer, costume designer and interior designer. 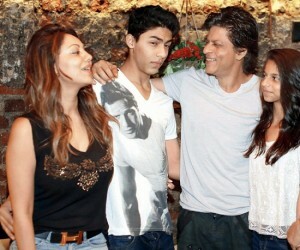 The couple gave birth to three children, son Aryan born in 1997, daughter Suhana born in 2000 and son AbRam born in 2013. 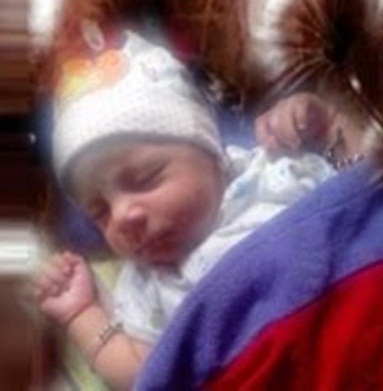 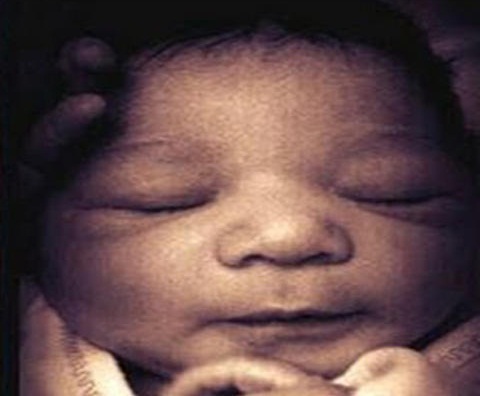 AbRam was born through a surrogate mother.